Many of us create a budget to control our spending, save money for something special or to pay off debts. However, many of us struggle to stick to our budgets for a number of different reasons. Below are the five main reasons why your budget isn't working. 5) Your budget is too strict! 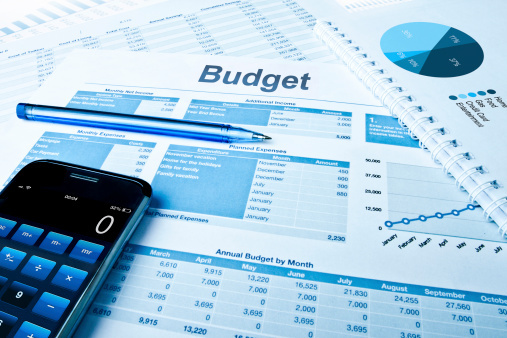 When writing a budget, in an effort to reach your goal quicker, you try to make your budget as strict as possible. You decide to remove any room for things you enjoy, so you’re likely to consciously or subconsciously rebel. Not allowing room for small unexpected expenses can also throw off your budget. Instead of making a budget really strict, keep it simple and realistic – the easier to follow, the more likely you will stick to it. Remember it’s a learning curve and don’t beat yourself up if it doesn’t all run smoothly straight away. Budgeting takes a lot of discipline, having to say no to things you want and spending less money on luxuries can be tough. Everyone has a reason for why they budget, and you need to continue to remind yourself of the goal. Whether you’re saving for a holiday, or to get out of debt, keep the motivation going by constantly reminding yourself of your goal. If you don’t monitor your spending, the budget is pointless, it’s vital you track what you spend. This will give you a realistic view of your outgoings, allowing you to improve your budget. It allows you to see quite early that your budget needs adjusting, rather than breaking your budget. Writing notes and keeping a diary of your spending could help you stick to your budget by making better budgets in the future and understand your spending. Budgeting requires a change in your current lifestyle, but it needs not to be so drastic. Making small changes to your routine could save you money and allow you to stick to your budget. If you’re a takeaway fan, rather than ordering pizza, try low cost frozen pizzas instead. If you enjoy going to the pub, try inviting friends over and purchase cheap beers from the supermarket. You don’t have to cut out things you enjoy, just find cheaper alternatives, this will help budgeting. The world is unpredictable, so a budget not going to plan is a normal occurrence. An unexpected expense or a day overspending can make your budget look bleak. When this happens most people adopt an ‘I give up’ reaction. Rein it in, fix whatever you can fix. Be adaptable and make changes. Having a budget is about controlling your spending and making sure you spend wisely, having an off day shouldn't move you away from the goal. At Discount Insurance we promise to offer a competitive home insurance quote without compromising on cover, even for those with a history of bankruptcy or CCJ’s. Call 0800 294 4522 to find out how much you can save!